Rodents cover many different types of creatures such as rats, mice, voles, and other small mammals that tend to hang around homes and yards. Rodents are known for their teeth in which they gnaw on wood to keep filed down. Rodents is a blanket term, so if you see any creatures that fall under that category, it is best to call an exterminator to perform a Rodent removal from your Waldorf home. Rodents are carriers of different diseases that can lead to sickness which includes cramping, vomiting, and a fever--or even more severe symptoms. One disease in particular is salmonella. Rodents also leave behind urine and droppings which is where the diseases stem from and with the sheer number of Rodents that can procreate quickly, you will find a lot of urine and droppings quickly. Rodents will also use parts of your home as their nesting spots, gnawing at the wood structures and causing damage to your Waldorf home. 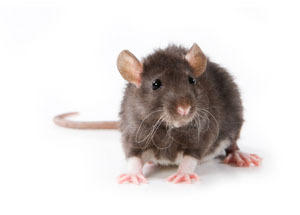 The biggest concern with Rodent infestations is that they are rapid breeders and it can become a large problem. Rodents can go from a few Rodents to hundreds so calling a Rodent pest control professional should be your immediate next step when dealing with any Rodent problem.